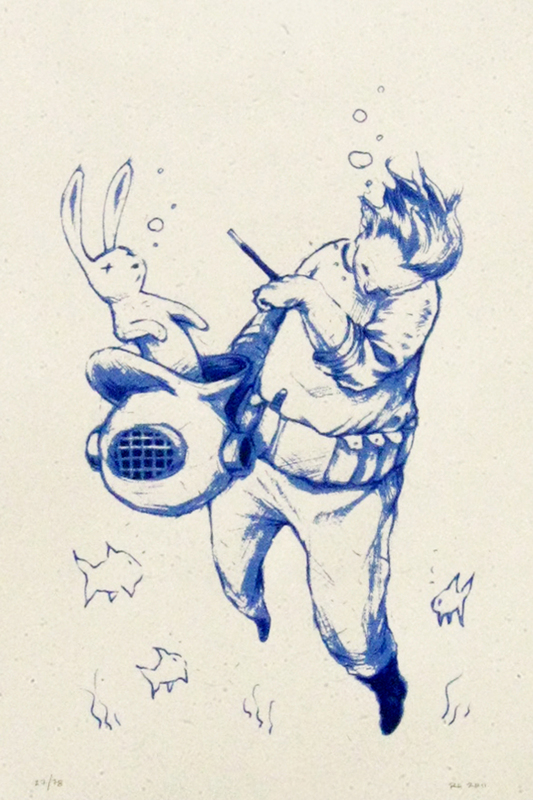 Ahoy Aesop’s Fables fans. 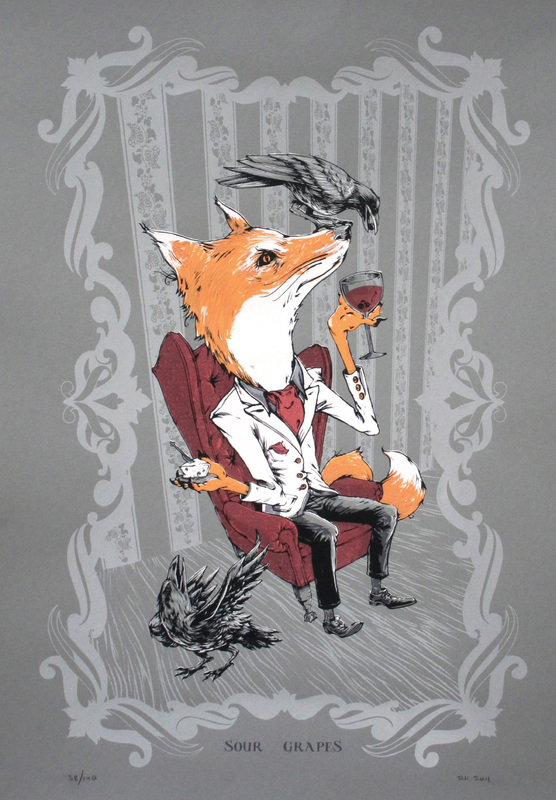 Here’s a print of some of our favorite fox fables combined into one 3-color 10 x 20 print. We have a few left in stock, so contact us if you’d like your own fox in your home. SOLD OUT. 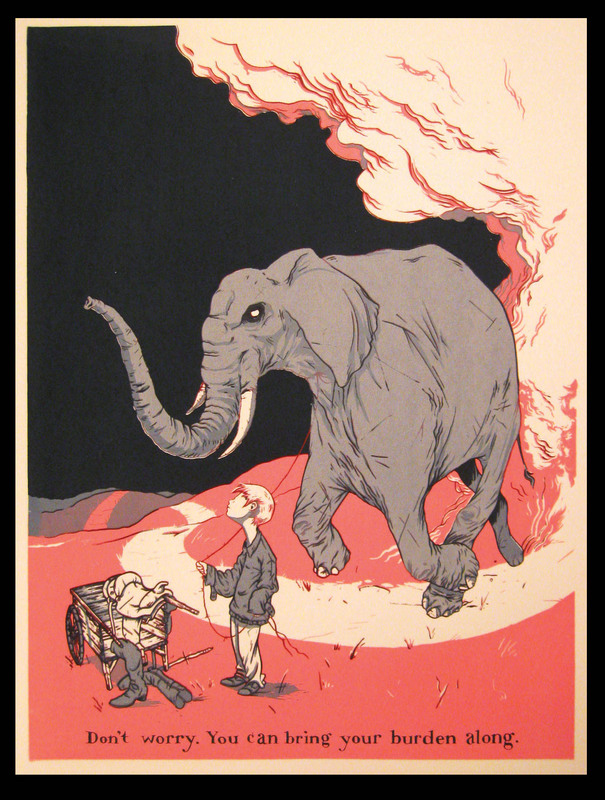 …you can get your very own elephant print. 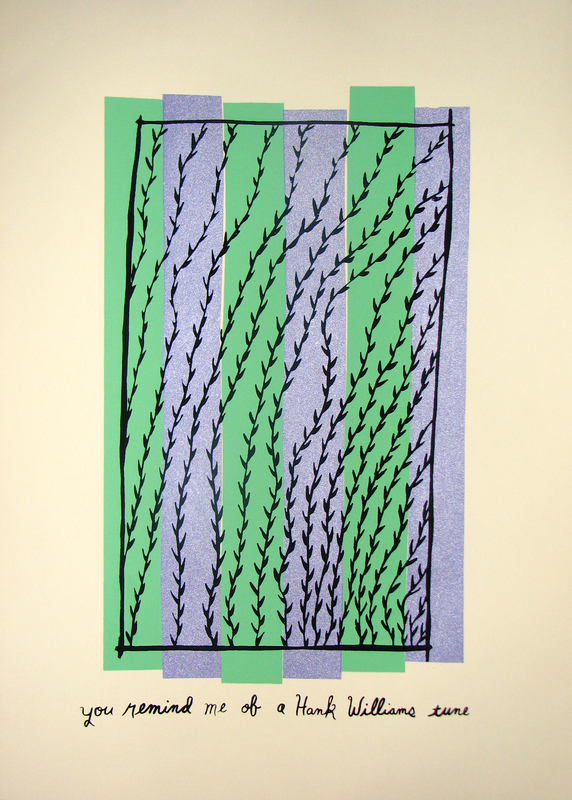 This 5-color 16×22 (not including paper border) is all about growing into your obligations, in spite of your setbacks. Full paper size is 18×25. SOLD OUT. 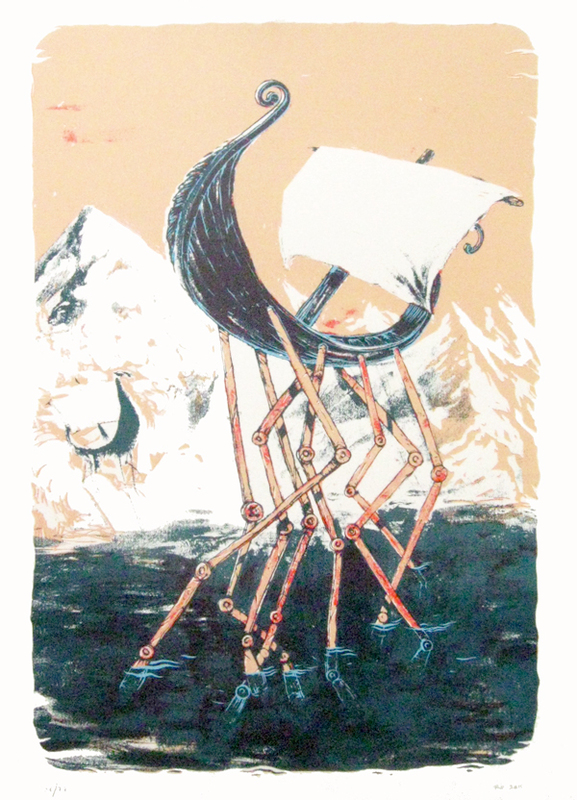 Here is a print that we made for a show we had a while back, before we started Bellyache. Three colors (black, seagreen, & metallic purple). Says, “you remind me of a Hank Williamstune”. A gift for your favorite surly Hank fan. $14. SOLD OUT.